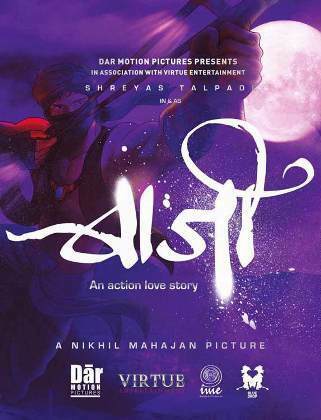 Plot : With still about a quarter of a year left to hit the cinema halls, the Marathi cinema lovers are already very excited about the upcoming film Baji. The lead role shall be played by Shreyas Talpade, and it shall be the very first time we shall get to see shreyas casting a superhero. The film is directed by Nikhil Mahajan and the finance for the projects are managed by Vivek Rangachari, Amit Ahirrao, Suhrud Godbole and the director himself. Shreyas, whom till date we had been seeing character oriented roles, feels equally excited about this project. While speaking to him, the forthcoming super hero unveiled the stories behind the stage for which he agreed to feature with this film. As per him, the time he was going through the draft of the screenplay, mailed to him by the director, he made up his mind to be a part of this project. 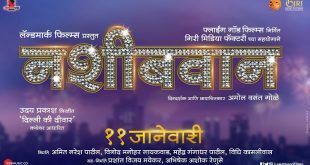 Tough, the role shall be of a super hero, the screenplay had made effort to retain the classical Marathi tough on its appearance and flavor. The character that shreyas is playing will be someone based out the Marathi village and he can related himself with folklores. The character shall resemble more to the classical ones of the phantom or the zorro, rather than the other popular superheroes. Probably, this shall be the first time the audience shall witness a superhero the ability to fly, tough, as per the director, the character shall be rich in emotional traits. As heard of the crew team, the superhero shall be dressed with a mix and match of the contemporary and classical attires while the traditional Marathi feta shall be visible on his head. As per the director, the realization of the lacking that we had compared to that of the Hollywood standard when it comes to the application of sound effects, we shall witness that no as such special effects had been used in this film. The Baji shall have Amruta Khanvilkar castes opposite to Shreyas Talpade.